Want to Try My Immigration Quiz on Entry to Canada/Inadmissibility? Mr. Orlando Chow (“Mr. Chow”) is a 35-year old foreign national and citizen of Hong Kong. He is travelling to Canada with his two friends, Juan Jose (“Mr. Jose”) a permanent resident of Canada and citizen of Mexico and Pierre Lacroix (“Mr. Lacroix”), another foreign national of France. They are returning by plane from a month-long trip to Vegas where they had a good time, some would say too much of a good time. Upon entry into Canada, their glazed looks and alcohol in the breath led to a referral to secondary for all three. Officer Bruce Boulder (“Officer Boulder”) is a two-year vet of the Canada Border Services Agency (“CBSA”) working secondary examination at Vancouver Airport (“YVR”). Officer Boulder greets the three of them at the border. Greet may not be the best descriptor. He is not having a good day. His boss told him that he had been making one too many mistakes. Recently, a Bulgarian individual he had let into Canada had ended up robbing a local convenience store and making headlines. Apparently, he had a criminal history that Officer Boulder missed in his review. Officer Boulder, being the consummate professional that he is, was not going to screw up one more time. Orlando Chow, twirls his gold chain as he comes up to the border. “Dogg, you can’t being do this to me Officer.” You have to prove that I am not allowed into Canada.” Your primary guy, this Rookie, said something about me proving I am not inadmissible. Get him some training or something. He is making no sense. Question 1: Is Officer Boulder’s colleague right that the burden of proof is on Mr. Chow and his cronies to show that they are not inadmissible to Canada. Officer Boulder checks his computer and to his surprise something pops up. Mr. Jose, during a binge drinking session apparently had received a misdemeanor Driving Under the Influence (“DUI”) charge while on the trip to Vegas. Global Case Management System (“GCMS”) never lies. Officer Boulder asks to see Mr. Jose’s bags. A bag of soiled underwear revealed a white powder of the non-flour variety. The drug test machine showed it was a 100% match for cocaine. Caught red-handed. Officer Boulder places handcuffs on Mr. Jose and orders him against the wall. He calls his supervisor on the intercom to come as it looked like a serious issue. “Boss, I think I got one – he’s got a charge on him from Las Vegas. I’m thinking s.36(2) – it doesn’t matter what the punishment is – I know this is a hybrid offense and he’s indictable. I have a reasonable ground to believe he committed an offense outside of Canada– this is a home run.” “But I am a permanent resident!” Mr. Jose yells from the wall trying to get Officer Boulder’s attention to no avail. Question 2: Officer Boulder is right about the standard of proof and section of IRPA that Mr. Jose is inadmissible under. Question 3: Mr. Lacroix has the right to counsel at this stage of secondary questioning even though he has not been detained. Question 4: Misrepresentation under A40 IRPA requires intent therefore Mr. Lacroix is right. Superintendent Jones tells Officer Boulder that he will interview both Mr. Jose and Mr. Lacroix (given the severity of their situations) and that Officer Boulder should talk to Mr. Chow to make sure he had met his conditions for entry (you know, the one from Question 1). IRCC had flagged Mr. Chow for CBSA to ask a few questions. It was easier to question him this way. Mr. Chow tells Officer Boulder that he did indeed have an application in for permanent residence as a sponsored spouse and that everything will be okay once he is a permanent resident of Canada and says that given he had done nothing wrong. Mr. Chow told the Officer that an American friend of his, Lily Chow, had done the same thing in sponsoring her spouse (or was it common-law partner?). The Officer asks if he was aware that his Canadian wife had received a procedural fairness letter from IRCC about three issues. First, there were concerns that his relationship was not genuine. Second, there was a concern that there was a financial inadmissibility concern due to his wife’s disability (she was a paraplegic and currently receiving disability payments as the source of her living expenses). Finally, there was issues with his daughter (remember not her daughter)’s autism being an excessive demand on Canadian society. His daughter was seven and also born in Hong Kong to his ex-partner. He had met his Canadian wife online before they arranged to see each other in Taiwan. A week later and they were engaged to be married. Officer Boulder remembers his recent training session and thinks to himself. 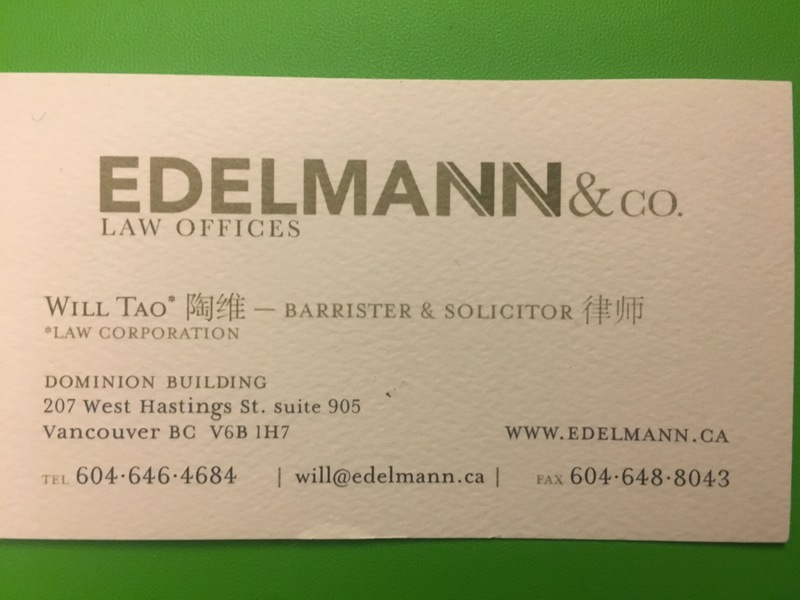 If Mr. Chow’s relationship is not genuine, the financial inadmissibility issue does not even matter to the appeal division as he will found not to be a family member. Question 5: Does Officer Boulder remember correctly that if the relationship is not genuine, there is no need for an appeal division to consider financial inadmissibility? Officer Boulder grabs his laptop out and searches “Orlando Chow” just to see who he was dealing with. He sees a relatively sketchy website with information suggesting Mr. Chow was a member of the Triads – Canadian chapter. “This is enough. I need to only prove this only on a reasonable grounds to believe. S.37 – Organized Crime. I got this. Or was it balance of probabilities? What does section 33 say again? Question 6: Is balance of probabilities the standard of proof for a finding of organized criminality? Question 7: Given his wife is eligible as a sponsor, there is no requirement for Mr. Chow to have anything to demonstrate that he is financially admissible other than an employment letter. Mr. Chow then reads the section about his daughter’s condition. This is ridiculous – absolutely ridiculous… how can there be an excess demand on social services. I have an uncle in Hong Kong who is a millionaire. He can just give me some money and we can pay for it. No problem. This “mitigation plan” will be easy to prepare. Question 8: Officer Boulder is right that any individualized mitigation plan that Mr. Chow comes up with in respect to social services will not matter and cannot be considered given the nature of the medical inadmissibility. Officer Boulder asks Mr. Chow if he intends to leave Canada and that he could not intend to be a permanent resident without holding a permanent resident visa. Mr. Chow flips open his bag showing that he still owned property in Hong Kong, had an adult daughter that he still visited often and in fact was planning to visit in another 6 months. Officer Boulder realized Mr. Chow was low key about social media – his #hashtag game was not strong. Officer Boulder states: None of this is relevant. You are only allowed one intention and you made that clear with your permanent residence application. Question 9: Is Officer Boulder right that only one intention is allowed once a permanent residence application is submitted? Question 10: Mr. Chow’s statement that his dependent daughter’s inadmissibility cannot render him inadmissible and there is an exemption for this is correct. “Clearly, there are way too many questions right now.” Officer Boulder continues. I am going to ask you for you to give me your passport for now. I will leave the decision up to my colleague on whether or not to give you a visitor record when you meet him in two weeks.